Excellent contribution. I didn't know you were also using text mining too. Have you considered mining non-open access journals too, not just PLOS & the PMC OA subset? I'm sure you probably know this but the UK has a specific copyright exception to enable non-commercial text and data mining, without the explicit permission of the copyright holders (provided you have legitimate access). I hope the rest of Europe gets an even better exception that allows mining for any purpose, including commercial purposes. Thanks for the great suggestions! We are already going through the catalog of Mendeley to identify papers which are about the genetic variants stored in openSNP. We link to those publications as well and for many we are also able to indicate whether they are open or closed access. But in general we are not too deep into text mining territory so far, would be really cool to enhance on this though. So if any experts on text mining feel like they have some spare time, we would love to get contributions! This is a great piece on how doing something open has helped an individual and community advance scientifically. I hope it encourages future Zuckerbergs of open science! 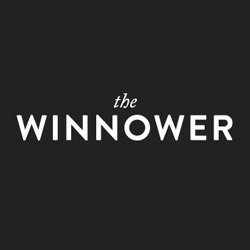 I should note that I am the founder of The Winnower but I am completely removed from all judging. The title is great, and the innovation described in the article is inspiring. I love the idea of things that can happen at the "intersections of these different opens", and this line sums up he article perfectly: "publishing open access, doing open source and facilitating open data can also mean a huge career boost, giving networking opportunities, job offers and otherwise unpublished papers"
I hope the rest of Europe gets an even better exception that allows mining for any purpose, including commercial purposes. I love this story. Its the story that all scientists want to come true. It is also the the story of a patient's fantasies come true. It is so wonderful that kicking this off started a whirlwind of conspirators, leading to an environment where we can say, what the hay, to those insurance companies. Make my patient data free (OH WAIT, THERE IS NOT A FORM FOR THAT!). Would love to help make openSNP phenotype data interoperable with other genomic health efforts. Congratulations on an amazing idea and an amazing effort. Open Science enhances for serendipity and Bastian Greshake’s success story (“You Don't Get to 2000 Open Data Sets Without Making a Few Friends – or: How I Got to be Called the Mark Zuckerberg of Open Source Genetics”) for the Winnower/ARCS contest clearly shows the the many potential benefits, both predictable (increased community visibility, papers, and a job) and sublime (the hyperbolic nickname from the title, world travel). Like many other readers I want to hear more of this story, outside of the word limit of the competition. 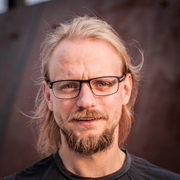 Competing interests: I met Bastian at the Biometrics Open Source Conference, 2015 and we follow each other on Twitter. Solid submission outlining the author's career after developing openSNP. Some additional detail on the early years would have been interesting. Was it an immediate success? Were there specific partnerships or decisions that took the project to the next level? If you want to know why the Zuckerberg comparison is so ridiculous, read the disclaimer of openSNP. It's so brutally honest that I wonder how anyone ever uploads their data on openSNP. But people keep doing it, and the above article sums up quite nicely why that might be. I especially like how the different aspects of openness are addressed - synergies with academic work, publicity, funding, networking and dealing with the occasional raised eyebrow. 5/5, would read again. Disclaimer: I know the author personally.